This squad is for athletes looking for regular (year round) training. There is a high level of professionalism and maturity required by these athletes as there will be sessions completed with the senior / elite squad at times. If athletes are also looking at Long/Triple Jump and/or Hurdles this may be offered on a separate day. Please Note: As athletes continue on the development pathway and can handle more training load they will transition into the main MBD Squad resulting to an increase in training days. History of injuries or other issues that are relevant to training. Successful athletes will then commence a trial period with the squad. Attitude, behaviour, motivation, ability to work within a group and ability will be assessed during the trial period before the athletes is confirmed in the group. Athletes will need to also purchase their own tickets or season pass for entry into AIS facility. This is done at the AIS pool reception area. DOES THIS SQUAD SUIT ME? The MBD Development squad represents stage 2 of the Athlete pathway and introduces athletes to a squad environment that trains regularly. Long term athletic development is the primary focus but athletes in the Development Squad will be introduced to planning, goal setting and some of the requirements needed to become a more serious athlete and target major events of interest. It is hoped that MBD Development squad athletes will one day develop into elite athletes in their own right and progress into the Senior or the extremely exclusive Elite squad in the future. Please email mattybdept@gmail.com or call 0490026875 to register your interest ASAP. 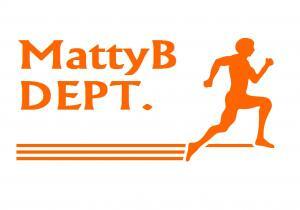 If you are not aged between 13-17 but keen to train please contact MattyB DEPT. and we can discuss possible options.